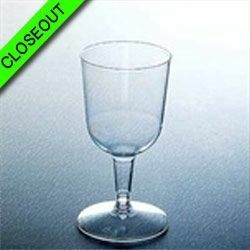 Home»Drinkware/Stemware»CYBER BLOWOUT!! Clear Plastic 4oz. 2pc. 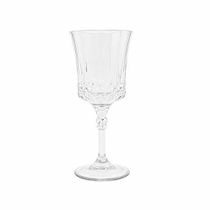 Wine Glasses 12ct. 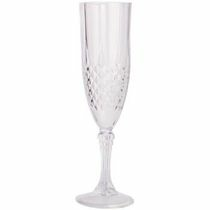 When you're hosting a large party or event such as a wedding, then use clear plastic wine glasses. They look great, but have the durability to withstand the occasional drop or spill. What makes then great compared to glass wine glasses is they can be thrown away when finished. There's no dishes to do or broken glass to worry about. We have a wide selection of plastic wine glasses to keep your low key party or major event free of broken glass shards and endless dishes. 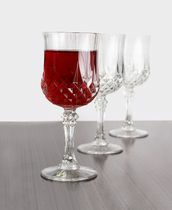 These glasses will add a sense of sophistication and class to any event and yet be easy to clean up. Plastic drinkware have become the go-to for a variety of events including weddings, anniversaries and fundraisers.